One of the easiest ways to improve your guitar tone is to add an extension cabinet to your rig. 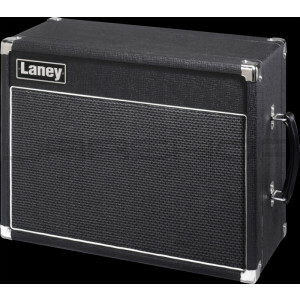 The GS112VE is designed to partner the Laney VC range of amplifiers stylistically but is can be used with any Laney amplifier capable of running an extension cabinet. Loaded with a 1 × 12’ Celestion Seventy 80 driver and giving you 75 Watts RMShandling, adding a GS112VE extension cabinet will increase your sound dispersion on stage and improve your frequency response. Housed in a very ‘British’ and specifically a very ‘Laney’ black basket weave vinyl covering, with black and grey speaker grille – with white piping, rugged leather handles and finished with chromed corners.